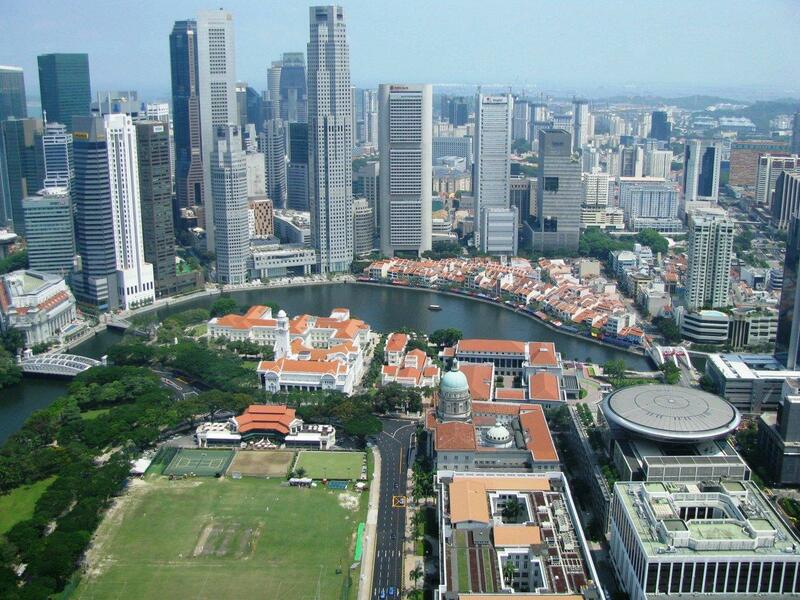 Singapore is a city-state located in Southeast Asia. Singapore literally mean Lion city and this name is valid for many reasons. As with other similar city-states this state is a crowded city giant. The population of 5 million live on only 710 square km. This city is often called a city of Southeast Asia contrast. We will go to Singapore by train from neighboring Malaysia but there are other options how to get there – by airplane or ship. Historical sites in Singapore are quite limited thanks to its young history. However you can still visit many great Buddhist temples there. Besides these temples there are more attractions in Singapore. For instance there is picturesque botanical garden or Marina Bay, a part of the city with beautiful roads and walks, shopping and views on city. Marina Bay is worth see at night because of its spectcular light water show. The city also offers many quarters similar to China Town but with Arabic or Indian alternatives. But there are more places to go in Singapore. Highly recommended is the largest Ferris wheel in the World, definitely a very interesting attraction in Singapore to visit. 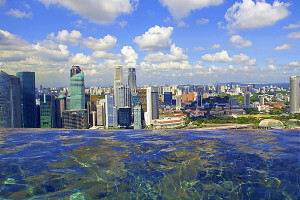 It might sound bizzare but Singapore is not only one big island. There are another 54 close surrounding islands and many of them are possible to visit. People fly to Singapore usually for business because the city is a center of economics and finance. But even tourists will be pleased staying here for a city-break and jaunts around islands. Getting to Singapore is very easy as it is an important transportation node between Europe, Asia and Australia. And there is one more reason why to spend a vacation in Singapore. If you are fans of Formula 1 held here every year, Singapore should be in your viewfinder. It is often called the Monacco of the east for F1. The race takes place at night, the track is lit and for fans of single-seaters it is an exhilarating experience. Transport in Singapore is to a very high standard, probably better than in Europe. Therefore we would like to use local transportation services as much as possible. Travelling in Singapore will be the smallest thing to worry about. Singapore is multicultural city. The official language is English and that makes travelling a lot easier. However it does not mean we won’t tend to meet locals. A great opportunity of how to get in touch with the locals is by searching accommodation in Singapore.We would like stay with someone within Couchsurfing community and if we are not so lucky then we hope to meet someone to recommend to us places to visit in Singapore and meals to taste from local cuisine. Habitants of Singapore allegedly enjoy good food. Singapore cuisine is quite multifarious and for a small amount of money one can try different meals and possibly gain weight during vacation in Singapore. Moreover chefs have a great habit, they cooking in front of their customers and always only from fresh ingredients. That is really something to look forward to. We will eat till our tummies hurt and then probably crawl to our next destination Bali, an island in Indonesia.